The year began with the eight edition of Indie music festival Laneway, and more recently saw the conclusion of the fourth instalment of Ultra Singapore, one of the world's premiere Electronic Music Dance festival. We also received some of the biggest music stars and acts such as Imagine Dragons, Fifth Harmony, Bruno Mars, Harry Styles and Niall Horan that shook our island with their moves and tunes. With another half, a year to go, here're the biggest names and events to look out for as July beckons. Hosted by Korean American singer Eric Nam, the festival will be happening at the Singapore Indoor Stadium for three whole days, from 7 to 9 September. With over 100 idols, featuring headliners like Wanna One, BTOB and Girls’ Generation’s very own TaeYeon, be ready to party to your K-POP’s heart out! Far from being rivals, 80’s pop princesses, Tiffany and Debbie Gibson unite for the first time in Singapore. Iconic in their own right, both of them rose to international stardom with catchy hits like Foolish Beat and I Saw Him Standing There. It is undoubtedly rare to see the two of them combine forces to perform many of their non-stop hit songs! 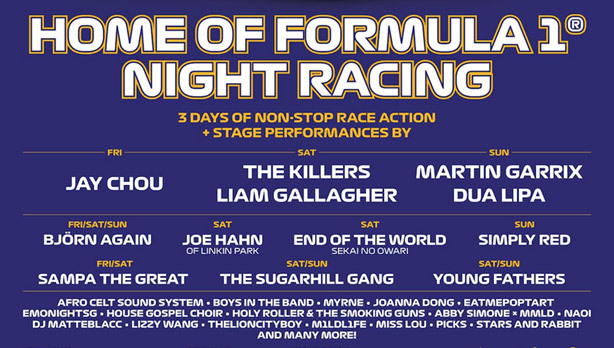 Headlined this year by the king of Mandopop Jay Chou, The Killers, Liam Gallagher on day one and two before the main closing acts of Dua Lipa and renowned DJ Martin Garrix, this year’s Formula One looks set to be a blast and it gets only better! Be sure to get tickets fast for this electrifying three-night event to catch your favourite acts in action on top of your usual annual F1 fix. Famous BBC Radio 1 Request Show stars Dan and Phil will be bringing their Interactive Introverts tour to Singapore. The Dynamic duo who rode on their fame went on to start a gaming channel on popular video sharing platform YouTube garnering a strong following of 3.1 million subscribers. The two internet dwelling comical personalities will bring an experience of rants, roasts, battles, stories and surprises that will make you laugh, cry, cringe and ache for more. The longest-running film festival in Singapore focuses on showcasing international films while providing a global platform for local and neighbouring talents to share their works. Its New Waves programme that puts the spotlight on young filmmakers every last Wednesday through to July has helped spread the awareness of the emerging film community in Singapore, during the course to this year’s 29th instalment of the festival. Dates of the festival to be updated. The rotating musical collective founded by pianist Scott Bradlee who is known for its reworks of popular modern music sets foot in Singapore. Bradlee’s vintage twist to contemporary pop has amassed over 1 billion views on YouTube with over 3.4 million subscribers. You have seen it on the internet, it is now time to catch it live! 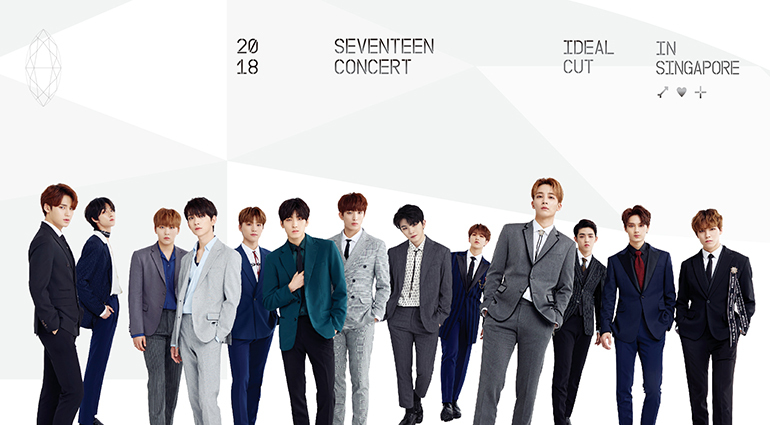 One of South Korea’s hottest boybands SEVENTEEN is back with their exclusive Ideal Cut concert. Fans can look forward to an unforgettable night as these charming boys are set to win the crowd over with their good looks and irresistible charm. YouTube sensation The Piano Guys will be coming to Singapore, where they’ll perform some of their trademark classical reworks of today’s most popular hits. Since their viral hit – an innovative multi-handed version of One Direction’s What Makes You Beautiful, the quartet has gone on to make a positive impact in the lives of people around the world. The eight edition of Universal Studio’s Halloween Horror Night promises to be bigger and better. This time, they have incorporated the theme from one of the biggest shows on Netflix – Stranger Things. From the menacing Hawkins National Laboratory to the Byers Home, this edition of HHN 8 will offer surprising twists and unexpected turn with every step of the way.